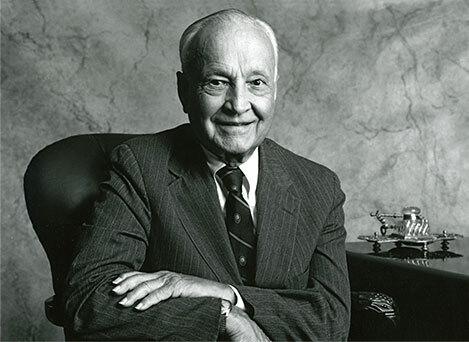 His financial feats were matched by early signs of John Templeton’s larger vision in life – a profound respect for learning, a belief in the centrality of spiritual life, and a higher purpose beyond profit for profit’s sake. As a pioneer in both financial investment and philanthropy, the late Sir John Templeton spent a lifetime encouraging open-mindedness. If he had not sought new paths, he once said, “I would have been unable to attain so many goals.” The motto that Sir John created for his Foundation, “How little we know, how eager to learn,” exemplified his philosophy both in the financial markets and in his groundbreaking methods of philanthropy. John Marks Templeton was born on November 29, 1912, in the small town of Winchester, Tennessee. 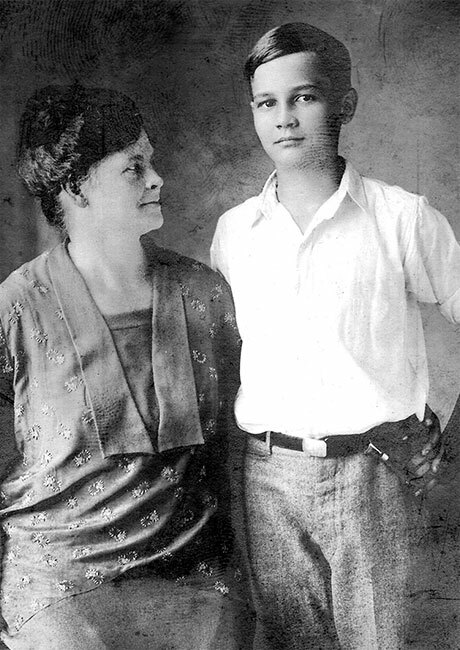 He followed in his brother’s footsteps and attended Yale University, supporting himself during the Depression and graduating in 1934 near the top of his class and as President of Phi Beta Kappa. He was named a Rhodes Scholar to Balliol College at Oxford, from which he graduated with a degree in law in 1936. Templeton started his Wall Street career in 1938 and went on to create some of the world’s largest and most successful international investment funds. He took the strategy of “buy low, sell high” to an extreme, picking nations, industries, and companies hitting rock-bottom, what he called “points of maximum pessimism.” When war began in Europe in 1939, he borrowed money to buy 100 shares each in 104 companies selling at one dollar per share or less, including 34 companies that were in bankruptcy. Only four turned out to be worthless, and he turned large profits on the others. 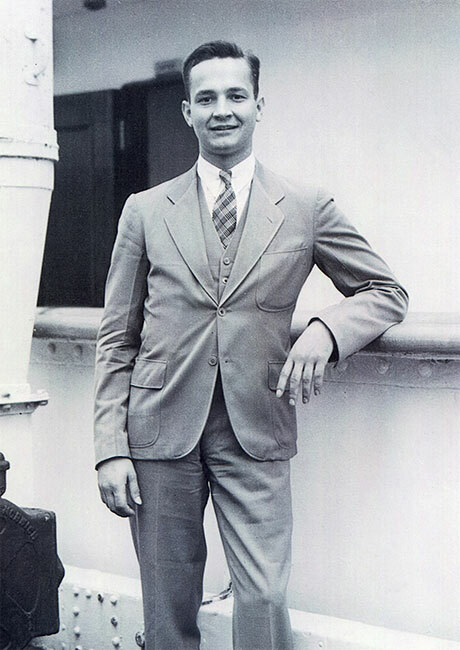 But John Templeton’s interests were never confined to the merely financial. An unfailing optimist, a believer in progress, and a relentless questioner and contrarian, he devoted the second half of his long life to promoting the discovery of what he called “new spiritual information.” To his mind, this term encompassed progress in understanding not only matters usually considered religious but also the deepest realities of human nature and the physical world — that is, subjects best investigated by using the tools of modern science. Templeton was convinced that our knowledge of the universe was still very limited. His great hope was to encourage all of humanity to be more open-minded about the possible character of ultimate reality and the divine. In 1972, he established the world’s largest annual award given to an individual, the Templeton Prize, which honors a living person who has made an exceptional contribution to affirming life’s spiritual dimension. Its monetary value, currently £1,000,000, always exceeds that of the Nobel Prizes, which was Templeton’s way of underscoring his belief that advances in the spiritual domain are no less important than those in other areas of human endeavor. Sir John’s own theological views conformed to no orthodoxy, and he was eager to learn not just from science but from all of the world’s faith traditions. As he once told an interviewer, “I grew up as a Presbyterian. Presbyterians thought the Methodists were wrong. Catholics thought all Protestants were wrong. The Jews thought the Christians were wrong. So, what I’m financing is humility. I want people to realize that you shouldn’t think you know it all.” He expected the John Templeton Foundation to stand apart from any consideration of dogma or personal religious belief and to seek out grantees who are “innovative, creative, enthusiastic, and open to competition and new ideas” in their approach to the Big Questions. Sir John’s progressive ideas on finance, spirituality, and science made him a distinctive voice in all these fields, but he never worried about being an iconoclast. “Rarely does a conservative become a hero of history,” he observed in his 1981 book, The Humble Approach, one of more than a dozen books he wrote or edited. Sir John’s death in 2008, at age 95, was noted around the world, with tributes that acknowledged the extraordinary breadth of his career and his vision. In an obituary titled “Maximum Optimist,” the Wall Street Journal wrote: As an investor, he always had confidence his picks would improve over the long term. Appropriately, the same “enthusiasm for progress,” as he put it, also made him one of the world’s great philanthropists. Life’s spiritual dimensions were his abiding inspiration. Sir John revered thrift and had a horror of debt. His parents had taught him that in small-town Tennessee, instilling it so well that in his white-columned house in the Bahamas, overlooking the golf course, he still cut up computer paper to make notebooks. But he made an exception for love, which needed spending. You could give away too much land and too much money, said Sir John, but never enough love, and the real return was immediate: more love. Templeton was a deeply spiritual, although unorthodox, individual. He lived a life firmly rooted in the Christian traditions of modesty and charity. Yet he was also a great admirer of science, the undogmatic practice of which he believed led to intellectual humility. His love of science and his God led him to form his foundation in 1987 on the basis that mutual dialogue might enrich the understanding of both. The biography of the "Wizard of Wall Street" who has dedicated his life to advancing the scientific study of spiritual realities has been revised and updated. 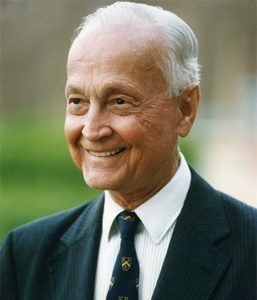 Sir John Templeton was an inspiring and motivational force both through his personal example and through the foundation that bears his name and is dedicated to his mission. Sir John Templeton challenges the reader to apply the same energy that has been devoted to scientific inquiry to the pursuit of spiritual information. The world is at a state of unprecedented technical expertise, but why has our knowledge and faith in our own spirituality stalled and become obsolete in recent times?